There is an old Irish proverb that states: “Laughter is brightest where food is best.” Well, it seems our inimitable Irish playwright, Mr. Wilde, could not agree more, for food is very much present in The Importance of Being Earnest. But what goes into the making of Gulfshore Playhouse’s production of this famous play? What is the recipe for our particular theatrical meal that will hopefully bring about the brightest of laughter? In this humble actor’s opinion, it is a complicated but beautiful collaboration of cooks. 1 Play, Shaken and Stirred. To begin with, we have the genius of Oscar Wilde. 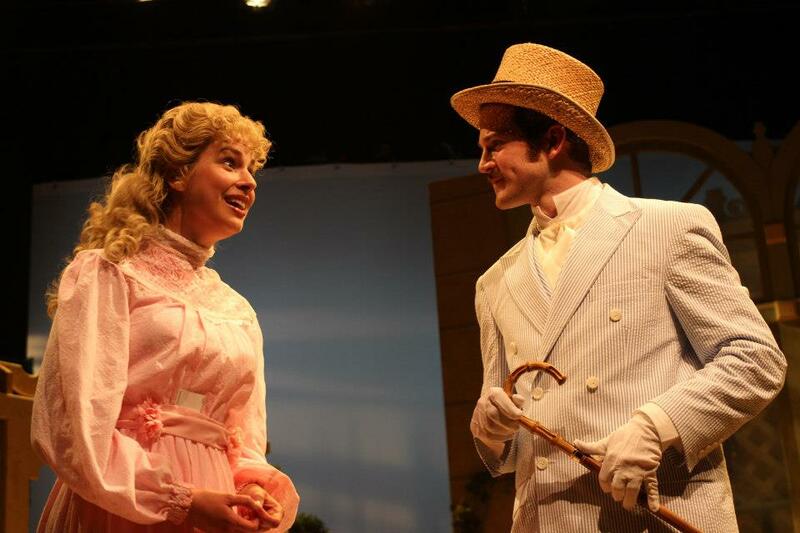 English Major that I am, I adore Wilde, and The Importance of Being Earnest is one of my favorite plays of all time. (Don’t worry; I am not about to launch into a critical analysis). Every line is either a joke or a set-up for a joke – and Wilde’s wit is unmatched – but somehow he still tells a story and magically invests us in his characters. From an acting perspective, getting through some of his lines requires all of the technical panache and breath support that Shakespeare demands, but if you are not completely honest and invested as a human being, both the jokes and story will fall flat. In a show about learning to be honest within all of the technical mores of the day, the actors must also marry technique to truth. What a delicious challenge. 1 Director, Whole. Next, we have the genius of Kristen Coury. Among the many quips in Wilde’s repertoire, the one I most attribute to Kristen: “I have the simplest tastes. I am always satisfied with the best.” The first day of rehearsal, it became clear that Kristen and her small army of associates are some of the most hard-working people on the planet. Everyone willingly wears multiple hats and soldiers with creativity and drive to achieve the mission of Gulfshore Playhouse. It takes a certain kind of Director to attract those kinds of people. This is my first time working with Kristen, so she may tailor her style of direction to each play, but my experience of her has been one of strength, openness and playfulness… qualities essential to this particular show. 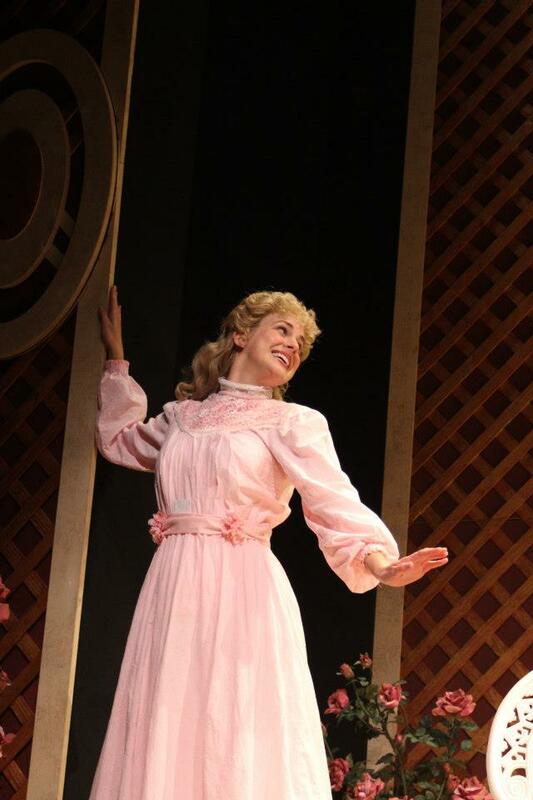 In rehearsal, she set the example and the tone for us so that we could discover Earnest in a fun but focused way. Kristen also attuned her direction depending on the actor, seemingly able to intuit what language each of us would best respond to. Her final direction to us? “Go Wilde!” I certainly hope we do so each night! 8 Actors, Mixed Well. It is an honor to act with great actors, and I am currently surrounded by them. There is so much to learn from watching them work and working with them. My cast mates each have their own style of approaching a scene or a character, and playing with them has taught me about my own approach. For example, Claire Brownell, who delivers a powerful and delicious Gwendolyn, was off-book – memorized! – the first day of rehearsal, which enabled her to really play with things like blocking, physical humor, and connection with her scene partners. I admired this so much that I tried to be off-book(ish) by Day 2(ish)! Ironically, that sense of I-admire-you-so-I-am-going-to-imitate-you has crept into our scenes together as well. Wilde deliberately gave Cecily language that mirrors Gwendolyn’s almost exactly, but we have decided that Cecily may also try to imitate Gwendolyn’s manners and vocal quality as well. Our tea scene together is one of my favorites in the entire show. I could go on and on about each of my fellow actors. 1 British Accent, Kneaded. I am relatively new to accent-work, so I was very excited to learn that we would have a vocal coach for this production, one Mr. John Patrick. He calmly and kindly helped us navigate the various dialects, pitch ranges, rhythmic patterns and deep breath support necessary to this play. I also learned about my own accent. I originally hail from Georgia but my parents are Yankees, so I thought my accent was somewhat general. But it turns out that I elongate my vowels and stress all the syllables in my words in a very southern way! A British accent calls for very clipped speech in which the stressed syllables and very stressed and the unstressed syllables are almost nonexistent. Fascinating! 1 Batch of Designers and Crew, Seasoned. There is not enough room on this blog to wax rhapsodic about the excellence of our designers and crew. Melanie Lisby, Stage Manage and General Manager Extraordinaire, could single-handedly bring about World Peace if she had the time. The hours of labor that went into creating our sets and costumes boggles and humbles the mind. And all of the beautiful, technical elements of our production seemed to happen magically without our even being aware. Which can only mean that everyone forewent sleep. We actors are indebted to the technicians, without whom a show would never, ever be possible. All of you wonderful people, forgive me for not celebrating each of you individually as you so richly deserve. 20 Audiences, Pre-Heated. And of course, no production is complete without the audience! Audiences teach us as much out our show as the playwright and the director: what they respond to, what they don’t respond to – keeping us honest and present in the moment. It’s a palpable give-and-take of energy that is never to be repeated, a once-in-a-lifetime shared experience. Each audience is a different batch of people that seems to take on a personality of its own and becomes a 9th character in our story. So our Earnest Recipe is actually made different and fresh-to-order every time! We thank you for supporting the theater with your presence and your energy! And there you have it. A glimpse into Gulfshore’s Kitchen. To finish with another great Oscar Wilde quote: “I regard the theatre as the greatest of all art forms, the most immediate way in which a human being can share with another the sense of what it is to be a human being.” Come share with us!